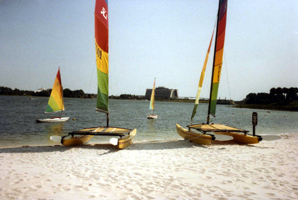 To celebrate JWL Media’s new Polynesian Resort Screensaver CD and Polynesian Resort DVD, I am presenting these vintage images from my personal collection. 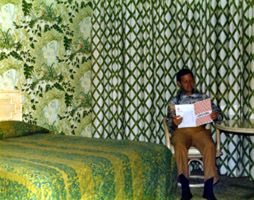 Below is a photo of my father (Walter Lange) studying the Polynesian Village Resort information guide. I love the vibrant 70’s room decor with all the green patterned designs! 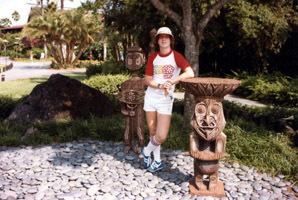 Next is a much younger Jeff posing with my Tiki friends. 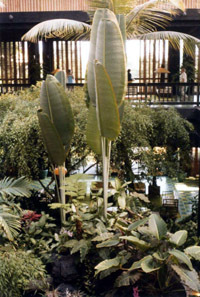 The next two photos are from the original lobby. 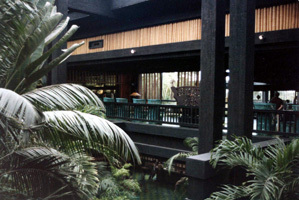 I will always remember the green and blue tile floors and comfortable wraparound chairs. 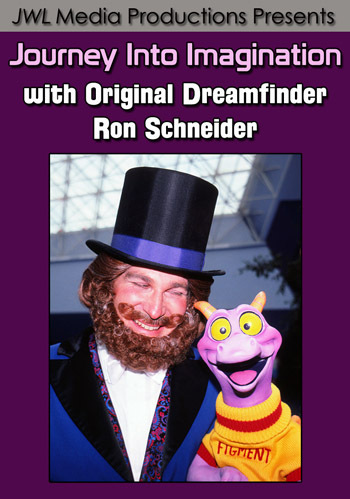 The distinctive aroma that I’d encounter as a child is still the same to this day! 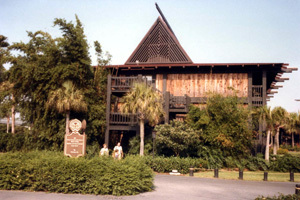 The original Polynesian Resort longhouses did not have colorful painted designs as the current ones do. 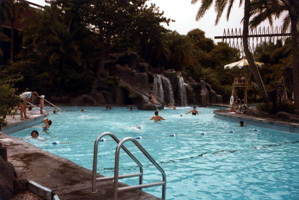 Below right is the original pool. 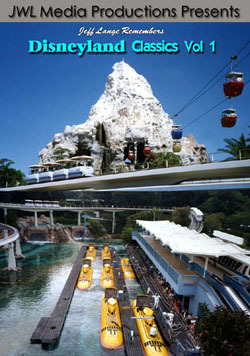 It featured a water slide which was only accessible by swimming through a waterfall. It was very exciting for me, as it was the first uniquely themed pool with a slide that I had ever encountered. As a child all I wanted to do was swim in this pool and go down the slide for hours and hours! 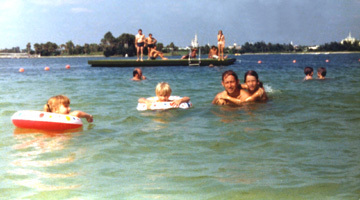 Swimming was allowed in the Seven Seas Lagoon back then! Below are photos of the marina. The photo below is of my family and me swimming in the lagoon. 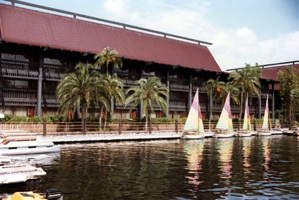 Available Now: The Polynesian Resort – Combo Pack! 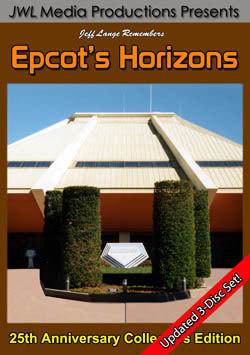 We are now offering “Jeff Lange Experiences: The Polynesian Resort” DVD and “JWL Media Productions Presents: The Polynesian Resort” Windows Screensaver/Photo CD together with a special bonus: Disney’s Polynesian Resort Guide Map – Shown above while supplies last! 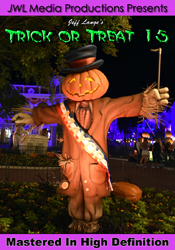 To purchase “The Polynesian Resort – Combo Pack” – please click this LINK.